mark_warhol One week from today I begin the long process of producing a new work, this time with @doppeldanceco Very exciting! 3 years 9 months ago. Welcome to Mark Warhol's world— a cradle of turbulent sound that is delicate, stark, knotty, Babbitt-esque, and wickedly droll. Though unpredictable, there is a haunting, dream-like familiarity to the music and non-narrative style. Canadian flutist Catherine Issalys met the Minnesota - based composer at the Stockhausen Seminar in 1998. There, a collaboration developed that led to the creation of Ensemble Warhol, a group dedicated to contemporary works that feature the flute. Warhol's new CD on innova highlights some of these pieces. 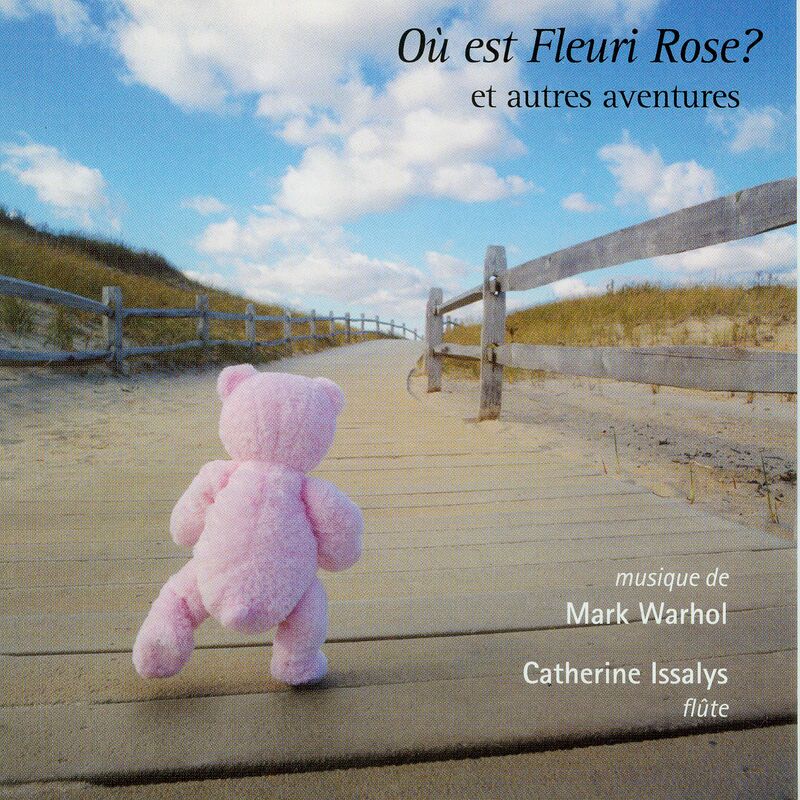 On the album's title piece, Où est Fleuri Rose?, John Jensen (harpsichord) and Catherine Issalys play out a wordless drama, which explores the morbid fate of a teddy bear, Fleuri Rose, who is abandoned by his owner. Voyage of the H.M.S. Beagle is based on Charles Darwin's book The Origin of Species and on his travel diary. The lone flute of Catherine Issalys represents the vast ocean, while operatic vocalists Krystal Banfield and David Harris recount the adventure. Norah Long (soprano), John Jensen (piano), and Catherine Issalys convey the psychological dementia of prison life in Crazy Rabbit Songs. The song cycle takes the listener into the fragmented and whimsical world of poet/convict Hardy Coleman. Où est Fleuri Rose? combines virtuosic playing with a variety of smart compositions. If a pink teddy bear, evolutionary musings, and reflections on incarceration don't raise your curiosity, what could?